Man, you must really like numbers if you’re thinking about taking the Math 2 SAT Subject test. It’s all cool, though, since I really like numbers too! Here’s a couple of pointers to help you study for the test. 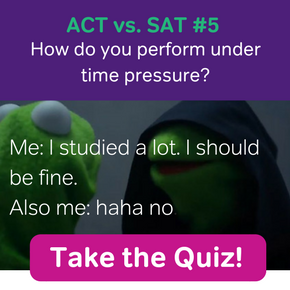 I’ll be referring to practice questions from the College Board’s website, so take a look at them as you read along. 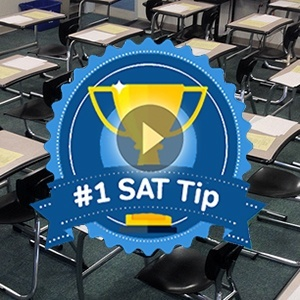 Tip 0: Read this post on how to take the Math 1 test. There are differences between the Math 1 and Math 2 subject tests. However, a lot of the strategies I wrote about studying for the Math 1 test will carry over to the Math 2 test. 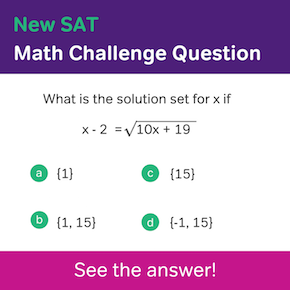 Look over those tips and try out some of the practice problems to get a head start on prepping for the Math 2 exam. Tip 1: Get friendly and freaky with functions. There are a LOT of questions about functions on the test. 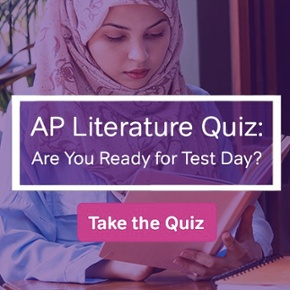 Of the 28 questions that the College Board provides, 11 of them are related to functions. And those questions usually go far beyond the usual “If f(x) = 2x + 1, what is f(3)?” variety. You should know the definitions of domain and range and understand how to apply them to any particular function the test throws at you (see Question 15). You should know how to graph functions and find their maximum and minimum values (see Question 9). AND, you should know how to find a function’s inverse, or how to define a function given its inverse (see Question 25). Hey! This looks a lot like one of those “real-life application” questions at the end of the textbook chapter that you skip over because ain’t nobody got time for that. Make time for them now, since these type of questions will pop up in the Math 2 test. Luckily, this question gave you the function, so it’s up to you to figure out for what values of t you want to evaluate. Once you have that, you’re pretty much good to go. Tip 2: Seek out the right triangle. In addition to there being a lot of function questions, there are also going to be a LOT of geometry questions. Taken together, functions and geometry will be about ⅔ of your test, maybe even more. They will link together different aspects of basic geometry, like finding the volume of a 3D solid, and coordinate geometry, like finding the area of a shape with vertices at (x1, y1) (x2, y2) etc. That’s square one. A right circular cylinder has radius 3 and height 3. If A and B are two points on its surface, what is the maximum possible straight-line distance between A and B? Chances are pretty good that if you’re given a geometry question without an obvious pathway or formula for solving it, you’re going to want to find a right triangle somewhere. You’ll have to visualize 3D shapes in a slightly different way. You may even have to rotate them around in your mind to spot the right triangle. But rest assured it’s there. If you’re stuck, here’s a little hint that might help you out. As a side note, SOHCAHTOA will be one of your best friends for coordinate geometry problems. Check out Questions 18 and 22 and you’ll see why. Tip 3: Don’t forget about the small things. While studying functions and practicing geometry will get you pretty far in the Math 2 test, there are still a good chunk of questions left over. Unfortunately, pretty much anything you learned in algebra, geometry, trig, and even pre-calc and statistics are fair game. Fortunately though, the questions that they will ask are relatively straight forward and basic, like Question 19. For a class test, the mean score was 65, the median score was 71, and the standard deviation of the scores was 7. The teacher decided to add 5 points to each score due to a grading error. Which of the following statements must be true for the new scores? I. The new mean score is 70. II. The new median score is 76. III. The new standard deviation of the scores is 12. You don’t need to bust out any weird regression formulas, or even know the exact formula for calculating standard deviation. However, you do need to understand what happens when you change your data set. With this question, what actually happens to your stats when you add 5 points to everything? A lot of these questions test you more on mathematical concepts than on actual calculations. Don’t stress out about studying these topics in a great amount of depth. However, there are a LOT of topics that fall into this category, including (but not limited to): statistics, probability, sequences, limits, vectors, and matrices. It’s pretty enlightening to see how all these different math concepts play with one another. Try and find links of your own and you’ll get a better understanding of how numbers behave. And it gives me an excuse to use this GIF.